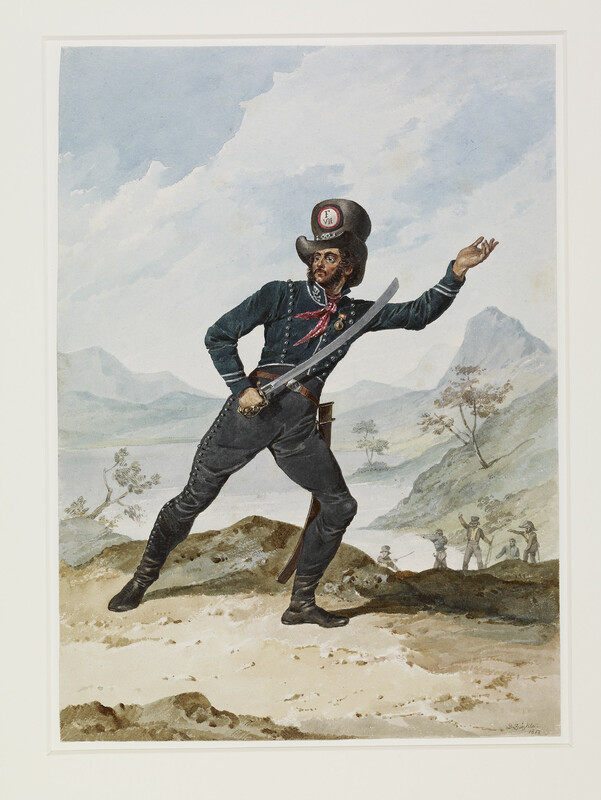 Denis Dighton (1792-1827) - Spanish Army. José de Espin, one of Don Juan Martins Chiefs. 1813. Spanish Army. José de Espin, one of Don Juan Martin's Chiefs. 1813. D&M 621: Mountainous countryside, lake in middle distance. Standing in an attitudeas if waving others on, sword drawn.